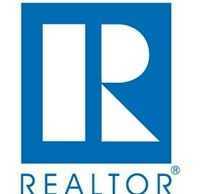 WASHINGTON, D.C. – March 27, 2014 – (RealEstateRama) — Pending home sales declined for the eighth straight month in February, according to the National Association of Realtors®. Modest increases in the Midwest and West were offset by declines in the Northeast and South; all regions are below a year ago. The Pending Home Sales Index,* a forward-looking indicator based on contract signings, dipped 0.8 percent to 93.9 from a downwardly revised 94.7 in January, and is 10.5 percent below February 2013 when it was 104.9. The February reading was the lowest since October 2011, when it was 92.2. The PHSI in the Northeast declined 2.4 percent to 77.1 in February, and is 7.4 percent below a year ago. In the Midwest the index rose 2.8 percent to 95.3 in February, but is 8.5 percent lower than February 2013. Pending home sales in the South fell 4.0 percent to an index of 106.3 in February, and are 9.3 percent below a year ago. The index in the West increased 2.3 percent in February to 86.1, but is 16.5 percent below February 2013. Total existing-home sales are forecast at 5.0 million this year, just below the nearly 5.1 million in 2013. Housing starts are projected to rise almost 19 percent in 2014, and reach about 1.1 million, closer to the underlying demand of 1.5 million. The gain in new home construction will reduce some of the pressure on home prices, with the national median existing-home price expected to rise in the range of 5.5 to 6 percent this year, compared with an 11.5 percent jump in 2013. *The Pending Home Sales Index is a leading indicator for the housing sector, based on pending sales of existing homes. A sale is listed as pending when the contract has been signed but the transaction has not closed, though the sale usually is finalized within one or two months of signing. The index is based on a large national sample, typically representing about 20 percent of transactions for existing-home sales. In developing the model for the index, it was demonstrated that the level of monthly sales-contract activity parallels the level of closed existing-home sales in the following two months. An index of 100 is equal to the average level of contract activity during 2001, which was the first year to be examined. By coincidence, the volume of existing-home sales in 2001 fell within the range of 5.0 to 5.5 million, which is considered normal for the current U.S. population. NOTE: Existing-home sales for March will be reported April 22, the next Pending Home Sales Index will be April 28, and the annual Investment and Vacation Home Buyers Survey will be released April 2; release times are 10:00 a.m. EDT.